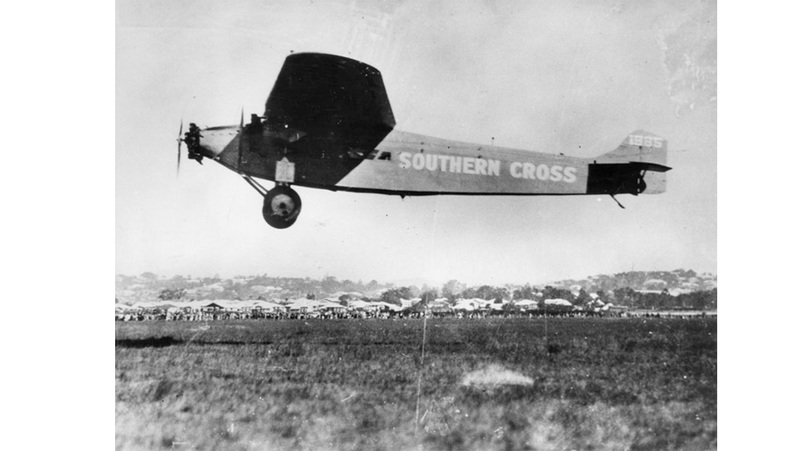 On 31 May 1928 Australians Charles Kingsford Smith and Charles Ulm took off from Oakland, California with 2 Americans: navigator Harry Lyon and radio operator James Warner in the Fokker F.VIIb/ trimotor monoplane the Southern Cross. This became the first ever trans-Pacific flight from the USA to Australia. The Southern Cross had a chequered career. It crashed in Alaska in 1926 and was rescued by Australian explorer Hubert Wilkins,who sold it to the two Charles. They replaced the plane’s Fokker engines with Wright Whirlwinds, fitted extra fuel tanks and sophisticated radio and navigational equipment - but the trans-Pacific plan was in jeopardy due to lack of cash, until American philanthropist Allan Hancock stepped in, buying the Southern Cross and immediately loaning it back to Kingsford Smith and Ulm. The trans-Pacific mission flew to Australia via Hawaii and Fiji, for refuelling stops, on a hazardous journey into the, then, unknown. They tried to fly above the tropical storm clouds but were forced to fly at only 200 feet for part of the journey from Hawaii to Fiji to avoid running out of fuel. Indeed some reports have the Southern Cross gliding into land at Suva [Fiji] on 5 June. The Hawaii-Fiji leg of the flight was the then longest flight achieved across water. Plane and crew were greeted by a cheering crowd, variously claimed as between 15 and 25 thousand, on arrival in Brisbane on 9 June before flying onto Sydney, Melbourne and Canberra. The Treasure Explorer of the National Library of Australia states that they were met in Sydney by a crowd of 300,000. On 15 June the four man crew were entertained at Parliament House in Canberra, where Prime Minister Stanley Bruce presented them with a cheque for £5,000 on behalf of the people of Australia. 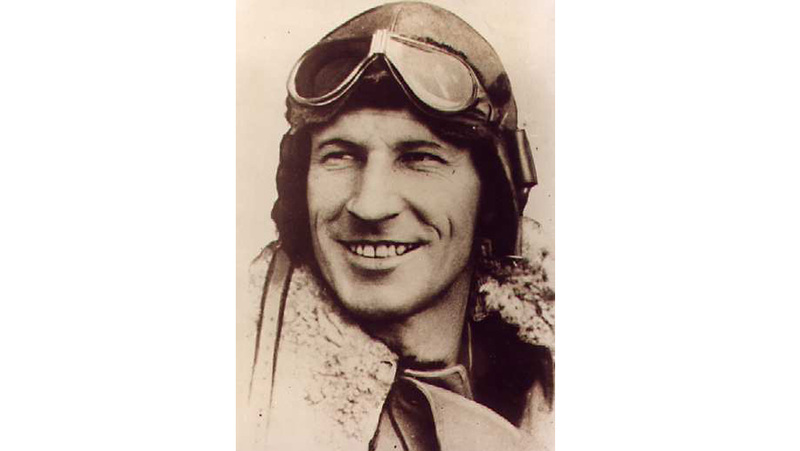 Charles Kingsford Smith not only piloted the original Southern Cross flight alongside Charles Ulm, but also made the first non-stop crossing of the Australian mainland, flew the first flight between Australia and New Zealand and set a world record of 10.5 days flying from Australia to the UK. Kingsford Smith enlisted in the Australian Army in 1915 and served at Gallipoli before transferring to the Royal Flying Corps where he earned his pilot’s wings in 1917 and served on the Western Front. He was shot down that same year, receiving injuries which necessitated the amputation of a large part of his left foot, and was awarded the Military Cross for gallantry. 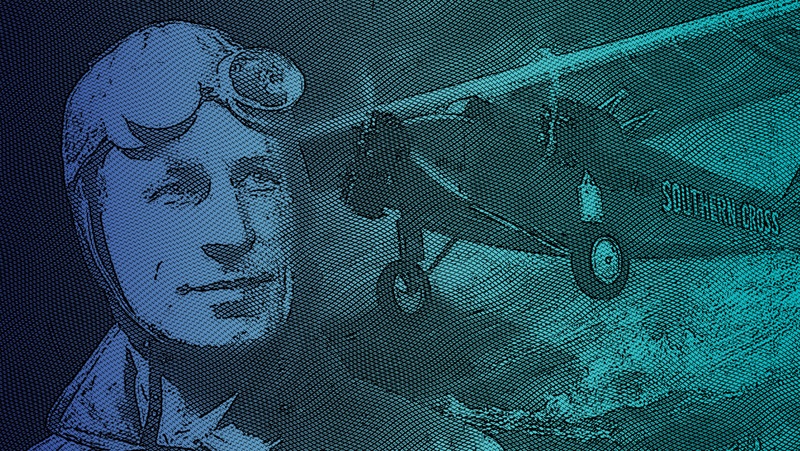 He was demobilised in 1919 and formed a aircraft joy-riding company in the North of England before moving to the USA, where he became one of the legendary barnstormers. Barnstormers were hugely popular in the US in what became known as The Roaring Twenties. 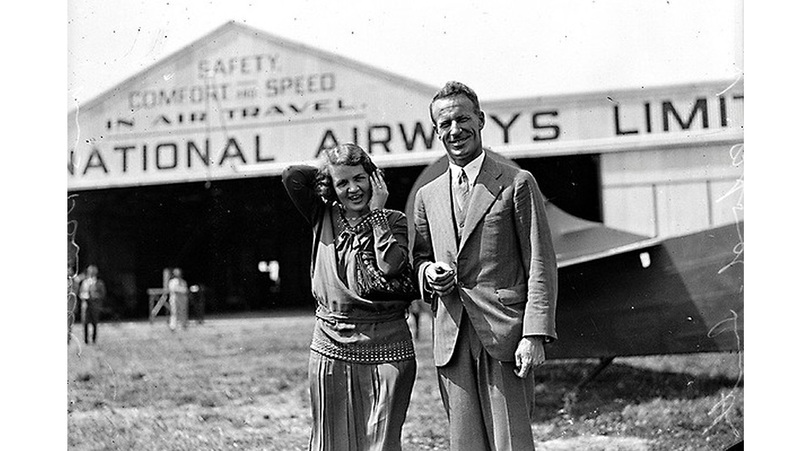 Male and female pilots performed breathtaking stunts such as looping-the-loop, barrel-rolls and dives, often carrying other aerialists walking, dancing and even playing tennis on the wings. These daredevils continued the romantic image of pilots formed in the First World War and which endures to this day. Charles Kingsford Smith returned to Australia in 1921. He flew airmail services, gained his commercial pilot’s licence  and became one of Australia’s first airline pilots when he joined the newly launched West Australian Airways. Kingsford Smith received the Air Force Cross and was given an honorary commission in the Royal Australian Airforce following the trans-Pacific flight. He was knighted in 1932. Flying was a dangerous business in those days. Two friends of Kingsford Smith died when their plane crashed in 1929 on their way to search for Kingsford Smith and Ulm, who had made an emergency landing in Kimberly, Western Australia in the early leg of what had been intended as a flight from Sydney to London. Kingsford Smith and Ulm were rescued and resumed their incredible careers. However, in 1935, whilst Kingswood Smith and co-pilot John Thompson Pethybridge were attempting to break the the England-Australia speed record, their plane disappeared over the Andaman sea. No trace of them has ever been found.